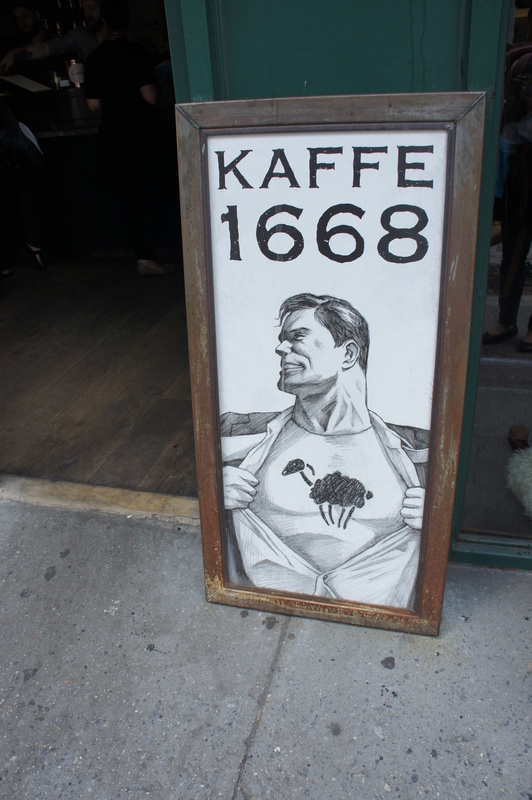 Right around the corner from the WTC memorial is this chic, almost what I would call a “coffee club.” Kaffe 1668 has a distinct atmosphere and style all its own and is putting out top-notch drinks for the busy Wall Street crowd. 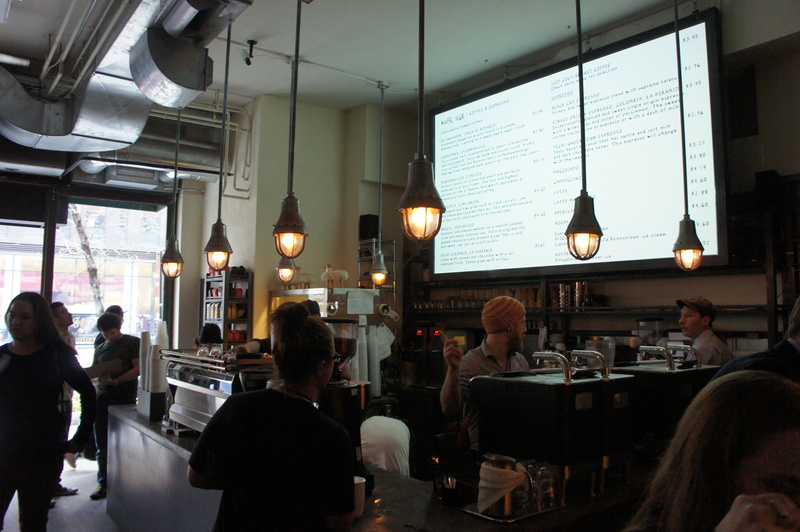 One of the most notable features of this cafe is the atmosphere. 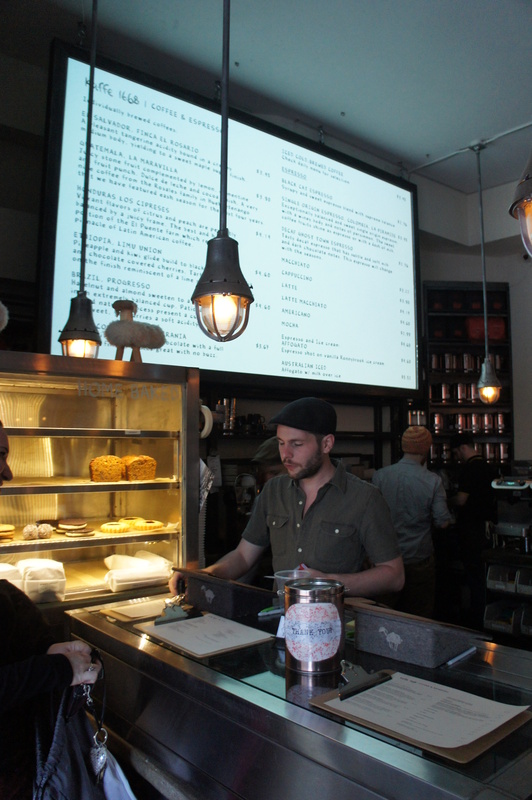 As previously mentioned, it is almost like a “club”; the house is dimly lit, the menus are projected onto large screens around the store, good tunes are vibing, and the store has a bustling pace that is rather lively and spirited. It’s a bit overwhelming at first, but once you find a spot to enjoy your drink, it feels like Friday night. Tech-wise, this place is ahead of the game. Not only are they rocking two Synessos on the bar, they also have four clovers for express brewing. With all that cache, you can bet that they are putting out killer drinks. Very high end stuff that perfectly fits the fast pace and motif of the store. As rushed as the Kaffe 1668 is, the baristas are not sacrificing quality for quantity.The baristas were some of the most efficient and professional folks I met on my trip to New York. Top of the line equipment does not automatically mean top of the line stuff, but Kaffe 1668 does a fantastic job. Moreover, speed is often detrimental to quality; during a rush, I have seen normally good shops pour out lines of mediocre drinks and been hugely disappointed. 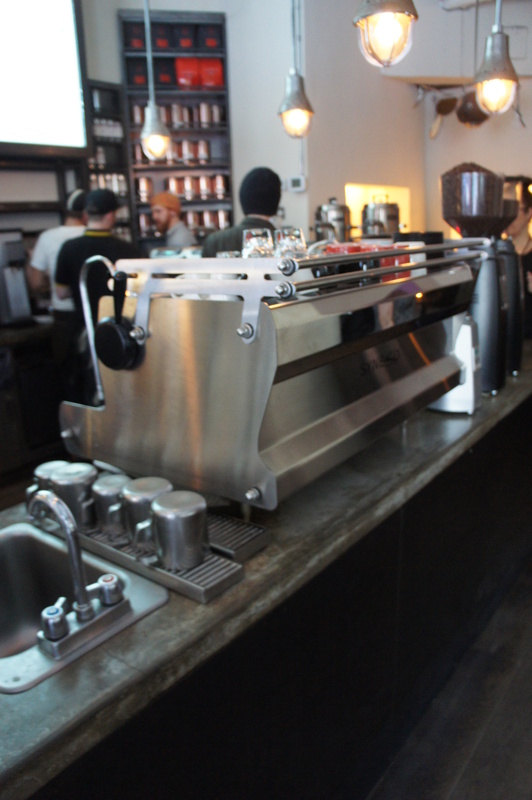 While maintaining speed and efficiency, baristas at Kaffe 1668 are also producing top-end products. The baristas were extremely approachable and personable, willing to chat with me about the store, their bean sourcing, and my friend’s Limu drip. This is, in my opinion, a model form of service; it is extremely professional, no fluff, just straight forward coffee. My cap was one of the best I had in New York. The “Synesso milk” was velvety and well textured, perfect temperature, more milky than espresso-y, the consistency of the milk was smooth heavy, and the art was good. 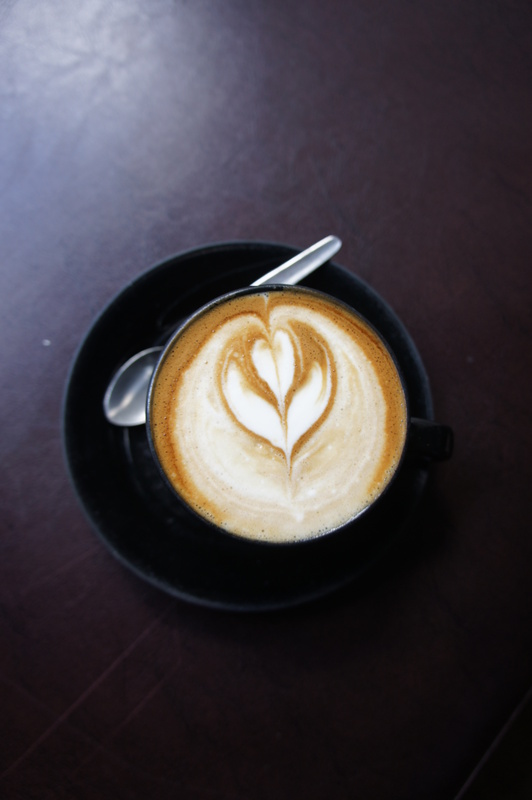 I was struck by how ubiquitous the flavor was throughout the drink (the espresso and milk were blended together superbly) and the perfect balance between a little sweet and a tad savory (rich). My friend’s Limu brewed from Intelligentsia beans was also perfect. Kaffe 1668 has a very mature feel to it. Everything about this shop was very intentional; from the selection of the equipment to the meticulous choice in beans, you can tell these guys are all about quality in a very understated way. They also have what I feel is a distinct image for a modern shop. Kaffe 1668 epitomizes passion and professionalism. There’s no smoke and mirrors, no ego, and no attitude-ridden attempt to make believe they are the best shop in town. Some California shops should take a cue from them; it’s all business here. The aesthetics were really unique and didn’t feel played out (ie. the projected menus are a unique touch).